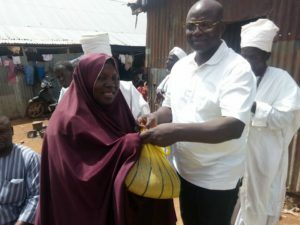 According to the General Overseer of the church, Pastor Yohanna Buru, the aim of assisting the less privileged and the IDPs is to support them with enough food to eat during the season to observe the 30 days of fasting and prayers . He said that the Church was in the forefront of promoting interreligious tolerance in Kaduna State, adding that the gesture was to deepen peaceful co-existence between Muslims and Christians, so as to enhance better understanding among different faith base organizations in the state. 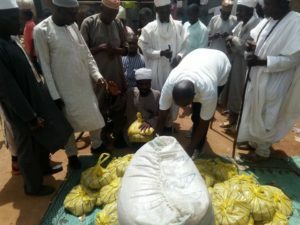 He said, every year the church use to bail out large number of muslims youth from kaduna prison, so as to enable them get freedom to go back home and join the rest of their friends, families and relatives in the 30 days of fasting. He then urged Muslims to redouble their efforts in prayers and read the Holy Qur’an and attend Tafsir lectures, in order to seek God’s blessings and intervention toward over-coming challenges faced in Africa and the world in general, regarding peace and stability. 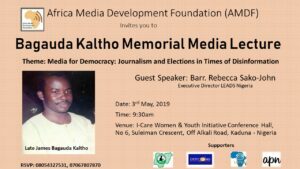 Buru further pointed out that for the past years, the Church had distributed Thousands of packaged food and drinks to Internally Displaced Persons, destitute and prison inmates and some poor muslims residing in the state. He then tasked Muslims all over the world to remember Internally Displaced Persons, destitutes, widows, orphans and inmates in their daily prayers, and also to support them with food, clothes and shelter. 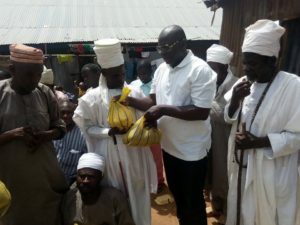 He appealed to marketers across the region to cut-down the prices of foodstuff so as to enable both Muslims and Christians and other religious believers to buy commodities at affordable prices. Responding on behalf of the persons with disability in Kaduna state, Comrade Rilwani Abdullahi, ”we are really glad with the food distribution which the church has brought to us. This will surely help us with what to eat, as no one remember our existence “. Also responding on behalp of the refugees in Kaduna, Maman Aisha Gamborun Gala, who is one of the refugees from Borno staying in kaduna, prayed God to bless the church for remembering the IDPs. Aisha also called on wealthy individuals to help the needy with food to eat during the period of Ramadan.